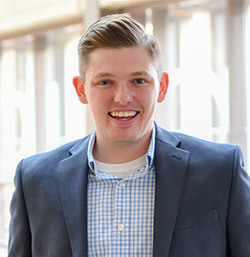 In 2015, Andrew Ryder and James DeVita introduced an international internship for students enrolled in WCE graduate programs in higher education. The internship program, offered annually in partnership with Maynooth University, gives students the opportunity to engage in hands-on, applied experiences related to their professional goals and interests. Eight students completed Maynooth internships in October 2018. In December, they reconvened with Ryder and DeVita at the Watson College for a final de-briefing and reflection on their personal and professional learning through their Maynooth experiences. 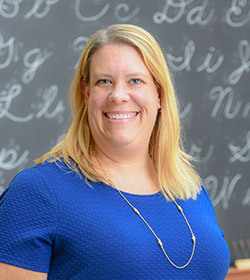 Angela Almozara worked in the Graduate School Office where she compared information about master’s and Ph.D. programs at seven universities and developed a pamphlet to promote informational programs and financial aid available at Maynooth. Almozara, who is looking to pursue a career in international experiences, said the internship was very valuable. Robin Clements ’18 M, worked in the Program Advisory Office where she conducted research and assessment on the skills first year students need to succeed. Clements is coordinator of advising in the Department of Agricultural and Resource Economics at N.C. State University. 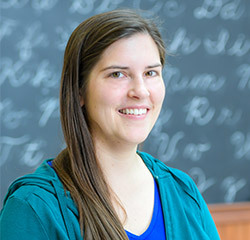 She said the internship helped expand her worldview, exposed her to new ideas to bring to her current work and, as a distance student, helped her build deep connections with faculty and fellow graduate students at WCE. Terry Locklear, a doctoral student at WCE, worked in the International Programs Office, where he developed quick reference cards, a handout and website updates related to the Erasmus Programme, a European-based articulation agreement involving 300 institutions of higher education. 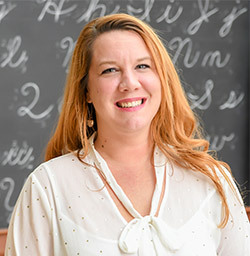 Locklear, who is Lumbee, also accepted an invitation to serve as a guest lecturer in a class on indigenous law and legal frameworks taught by Gerry Maguire, a law lecturer at Maynooth. The experience was a first for WCE graduate students participating in the Maynooth internship program. 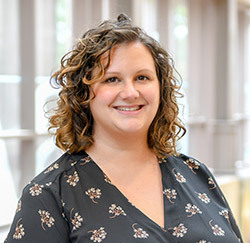 Chelsea Niemann worked in Human Resources under Maynooth University’s equity officer where she developed training and a guiding document for faculty and staff related to bullying, harassment and sexual harassment in the workplace. With funding provided by ETEAL, Niemann will return to Maynooth University with Ryder in the spring to conduct additional training for university administrators. Brittany Ranz worked with the Student Union, where she helped draft a charter on their work to influence policy in the areas of education, student welfare, clubs and society. The student union operates outside of the university, but Ranz found the students to be influential. For example, student leadership was actively engaged in crafting solutions to help end a recent campus-housing crisis, she said. Susan Thornhill’s area of focus was Experiential Learning, a new concept at Maynooth. 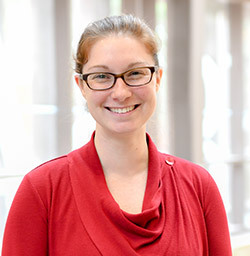 During the internship, she developed web-based resources comprised of journal articles and a reflective learning platform to help faculty put experiential learning into practice. Travis Wright ’18 M.Ed. worked with the university’s Student Engagement team, where he interviewed students as part of an assessment project he conducted to recommend ways to improve student orientation and leader training programs. The trip to Ireland was Wright’s first international experience. 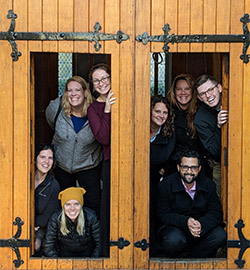 The Maynooth internship will be offered again in fall 2019 from October 10 through 26. The program is open to all higher education M.Ed. and Ed.D. students who have completed at least 6 program credits with a cumulative g.p.a. of 3.0 or higher. The application deadline is Friday, May 17. For more information, visit the website or contact the 2019 co-leaders, Dr. Symphony Oxendine or Dr. Andrew Ryder.